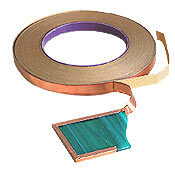 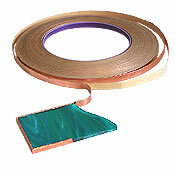 Straight copper foil is the cheapest way to buy foil. 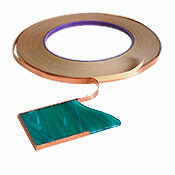 Use this foil on opal glass where you cannot see the underside of the foil through the glass. 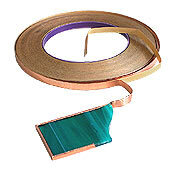 Different widths can be used dependant on the thickness of your glass, the size of your pieces or just the width of soldered line you choose to have.